BASI ISTD International Ski Teacher Diploma. skiing holidays throughout the eighties. He began ski teaching in Megeve in 1987/88. 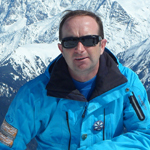 After taking time out to complete his further education he returned to ski teaching in 1996 and has been working in France and Italy ever since. ski school in Les Gets and Morzine, Magic academy (Formerly Magic in motion) Meribel, and courchevel 1850m, White sensations (ESI) Megeve, European ski school Les Deux Alps, Ski cocktail Meribel, Interski Aosta Valley, Ski2 Champoluc. The experience he gained through the Alps has given Ski Technique a clear philosophy on what works well and how to deliver the clients needs. Having completed the British Alpine Snow sports Instructors Awards, International Ski Teacher Diploma, (French equivalence). 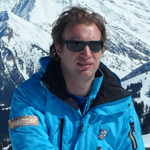 Jarrod is trained to develop people's skiing in a fun and safe environment whilst tailoring the lessons to the client's optimum learning style and ability. Having English as his first language enables a more precise explanation when describing ski technique to British clients. Jarrod is very passionate about skiing which comes across in his teaching, but he also has great patience when teaching and will never push a client beyond his / her boundaries before they are ready. involved with some of the most sucessful ski schools in the alps. Glen raced on the FIS circuit from 2001 to 2002. New Zealand where he was member of the Wanaka Ski Academy for 3 years running. Glen's interests are football, social events, sport, film and video gaming. He is also a qualified personal trainer and sports massage therapist. His specialities include, technical knowledge of skiing, patience when teaching and a racing background. offering professional ski lessons for individuals and groups.